Harriet Hardy was born in south London, the daughter of Thomas Hardy, a surgeon, and Harriet Hurst. In 1826, when she was eighteen years old, Harriet Hardy married John Taylor, a prosperous merchant--in pharmaceuticals--and the couple had three children. John and Harriet Taylor also became members of the Unitarian church and developed radical political views, including those of the minister, editor, and writer William Johnson Fox who, among other things, was a proponent of women's rights. 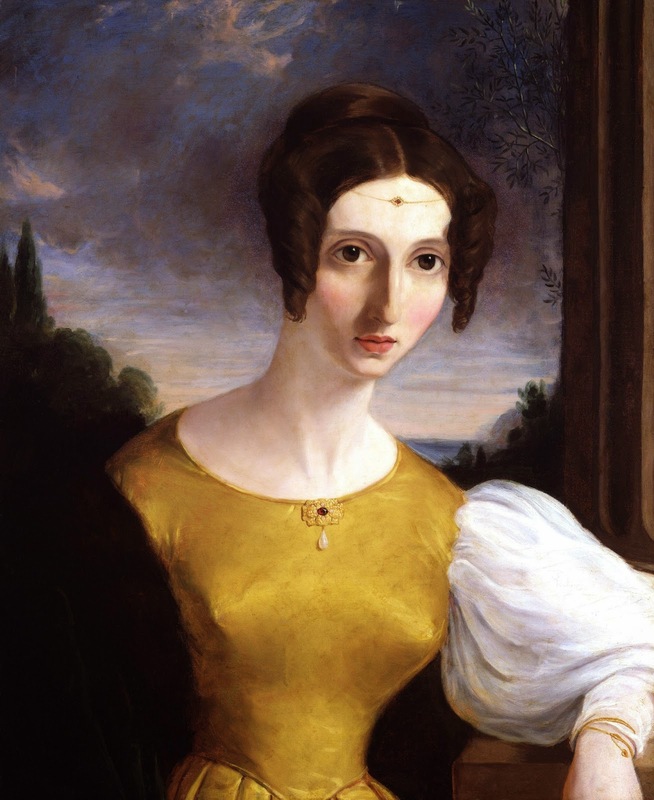 Harriet Taylor's life took an unexpected, even scandalous, turn when she met John Stuart Mill in 1830. The two regarded one another as intellectual equals, and shared views on a variety of issues, including marriage and women's economic, professional, and social status. They also began an intimate relationship, but one that they claimed was not sexual. Whatever the nature of their connection, John Taylor was able to accommodate their friendship, at least until 1833 when the Taylors established separate households, with John raising their two sons, and Harriet maintaining custody of the couple's daughter, Helen Taylor (who would later play a significant role in the suffrage movement). The two friends, John Stuart Mill and Harriet Taylor, spent six weeks together in Paris. On their return, Taylor moved into her own home, where Mill would visit on weekends. Their relationship resulted in a scandal and social isolation, at least for Harriet. In 1849, suffering from cancer, John Taylor asked his wife to return home. After some hesitation--she felt she owed her time and attention to Mill--Harriet did return to take care of her husband during his final illness. John Taylor died on 3 May 1849. Out of respect for him--and fear of more scandal, perhaps--Harriet Taylor and John Stuart Mill waited until 1851 to marry. Up to this point, it looks as though the only thing significant about Harriet Taylor Mill was her unconventional relationships, but that is not at all the case. In fact, Taylor Mill played a significant role in John Stuart Mill's political thinking, writing, and publishing. Indeed, the only "problem" is to figure out exactly how extensive her role was. The “Liberty” was more directly and literally our joint production than anything else which bears my name, for there was not a sentence of it that was not several times gone through by us together, turned over in many ways, and carefully weeded of any faults, either in thought or expression, that we detected in it. . . . With regard to the thoughts, it is difficult to identify any particular part or element as being more hers than all the rest. The whole mode of thinking of which the book was the expression, was emphatically hers. . . . The “Liberty” is likely to survive longer than anything else that I have written (with the possible exception of the “Logic”), because the conjunction of her mind with mine has rendered it a kind of philosophic text-book of a single truth. . . . When two persons have their thoughts and speculations completely in common; when all subjects of intellectual or moral interest are discussed between them in daily life, and probed to much greater depths than are usually or conveniently sounded in writings intended for general readers; when they set out from the same principles, and arrive at their conclusions by processes pursued jointly, it is of little consequence in respect to the question of originality, which of them holds the pen; the one who contributes least to the composition may contribute most to the thought; the writings which result are the joint product of both, and it must often be impossible to disentangle their respective parts, and affirm that this belongs to one and that to the other. Even so, the extent of Harriet Taylor Mill's contribution to the work of John Stuart Mill is hotly contested, with many critics refusing to believe that she contributed--or could have contributed--to his work in any way. For an excellent overview of the debate, I suggest Dale E. Miller's discussion, from the Stanford Encyclopedia of Philosophy, which you can access by clicking here. On the whole question, I like Jo Ellen Jacobs's sensible response in her essay "Harriet Taylor Mill’s Collaboration with John Stuart Mill" (in Presenting Women Philosophers, ed. Cecile T. Tougas and Sara Ebenreck): "Without substantial evidence to the contrary, it seems reasonable to believe that work is collaborative if the participants say it is so." The one work which is almost certainly Harriet Taylor Mill's is "The Enfranchisement of Women," an essay published in 1851 in The Westminster Review--though it was published under John Stuart Mill's name. You can access "The Enfranchisement of Women" by clicking here. There is also an excellent anthology of the writing and speeches of John Stuart Mill, Harriet Taylor Mill, and Helen Taylor, Ann P. Robson's Sexual Equality: A Mill-Taylor Reader--it's out of print, but used paperback copies are readily available. Harriet Taylor died of tuberculosis in November 1858. In Avignon, she and John Stuart Mill had sought treatment for the disease at the same time they were working on The Subjection of Women. After her mother's death, Helen Taylor continued to live and work with Mill, helping him to complete the work. As Mill said in his autobiography, "Whoever, either now or hereafter, may think of me and my work I have done, must never forget that it is the product not of one intellect and conscience but of three, the least considerable of whom, and above all the least original, is the one whose name is attached to it." For further reading, I recommend Jo Ellen Jacobs's The Voice of Harriet Taylor Mill, which includes a good biographical introduction to Harriet Taylor Mill in addition to its discussion of the authorship question.